Soft cream fudge with flavors of: cream, cocoa, coconut, sesame, raisin and mint. 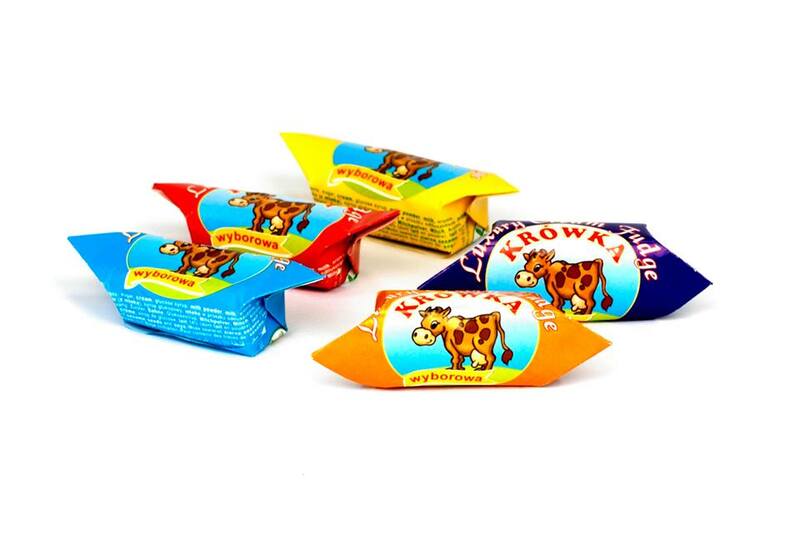 Package: collective with basis weight: 250g, 500g, 1 kg, 3kg lub 5 kg. Ingrediends: sugar, cream, glucose syrup, powdered milk, milk, artificial flavour vanillin. May contain sesame, soy. Flavored products contain: cocoa, coconut shrims, sesame seeds, raisins or mint aroma. The term of validity 12 months. Soft cream fudge with flavors of: cream, cocoa, coconut and sesame. Package: collective with basis weight: 3kg lub 5 kg. Flavored products contain: cocoa, coconut shrims or sesame seeds..
Soft cream fudge (40g) with flavors of: cream and cocoa. 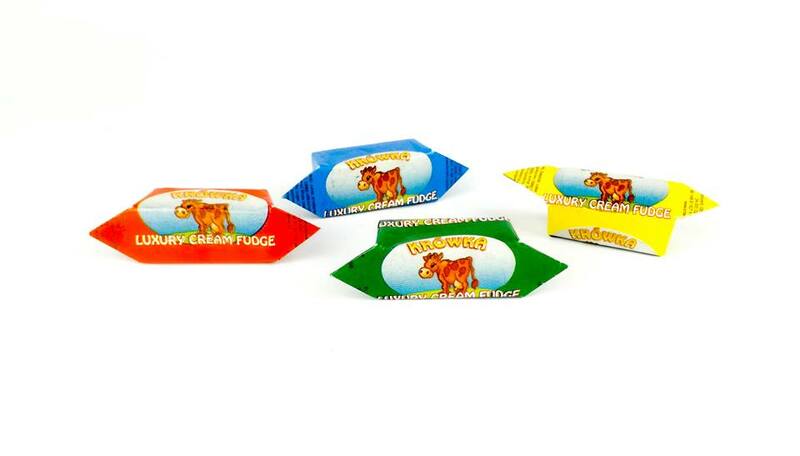 Sweet fudge mass for wafers, cakes, ice-creams and desserts with flavors of cream and cocoa.